February 20, 2016 – Richard Branson yesterday unveiled Virgin Galactic’s much anticipated second SpaceShipTwo at a ceremony in Mojave, California, attended by his family, Virgin Galactic’s Founder Future Astronauts, stakeholders and partners. Virgin Galactic designed and developed SpaceShipTwo for space tourism. The space plane is made to carry two crew members and six passengers into the weightlessness of space. SpaceShipTwo will be ferried by a “mother” aircraft to roughly 10 miles in altitude before being released on a suborbital trajectory under its own rocket power, quickly reaching the edge of space at about 75 miles in altitude. More than 700 people have already signed up to take flights on the spacecraft once it begins launching from Spaceport America in New Mexico. Before that can happen, however, SpaceShipTwo will undergo a lengthy test phase which will begin on the ground and progress to glide testing and then to rocket-powered flight over Mojave. SpaceShipTwo’s predecessor crashed during a flight test accident on October 31, 2014, injuring the pilot and killing the co-pilot. After a lengthy investigation, the National Transportation Safety board concluded that the accident was the result of pilot error – the crucial “feathering” system, which is used to slow the spacecraft down during re-entry, was engaged too early in the flight. Once the company is confident that it can safely carry customers to space, it will start doing so. 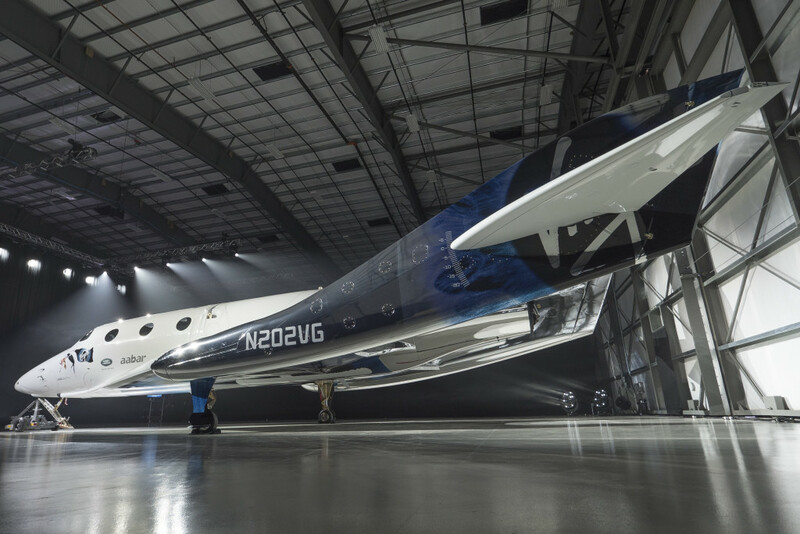 In addition to carrying up to eight passengers, SpaceShipTwo will carry a variety of technology experiments that could prove useful to NASA and other agencies for future space exploration missions.